Don’t read these to your kids! This is the real deal, no Disneyesque re-imagining. Some stories might feel familiar, but the plots will twist in ways you never read before, unless you devoured the old Andrew Lang compilations like I did. Despite that there were still many delightful, humorous, shocking surprises. This book, which came out three years ago, is the very first English translation of the complete Grimms’ original edition. Since the two volumes of stories in this single book came out in 1812 and 1815, I don’t understand the delay, but it was worth the wait. 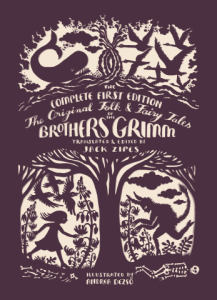 You say you’ve already read the original Brothers Grimm? Well, they did publish six other editions, editing and softening the stories with each subsequent outing. This is the original material and its first time in English. Don’t skip the introduction either. The story of the brothers, their quest for these stories, and how their work evolved is a fascinating read. There are 156 different tales in this book. Some are variations on a single theme, others barely longer than a paragraph; many sound vaguely familiar, many more are unheard of. However, don’t go looking for any fairies — there are none in this collection. It took me so long to finish this book because I savored one story at a time. They deserved it. There were two brothers, one wealthy and one poor. The poor brother was a farmer and one of his turnips got to be truly enormous. He didn’t want to eat it, since little turnips would taste the same, nor did he want to sell it, since it wouldn’t earn much. He decided to give it to the king. It filled his cart and took two oxen to move. The king was delighted and gave the poor brother so much gold and property he became richer than his wealthy brother. The jealous wealthy brother decided to bring the king a better gift — horses and gold — expecting something ever greater in return. The king was delighted with the gift, saying the only thing he possessed that was finer and rarer was his giant turnip, which he gave the wealthy brother. The story continues, by the way, but this is all I’m sharing. 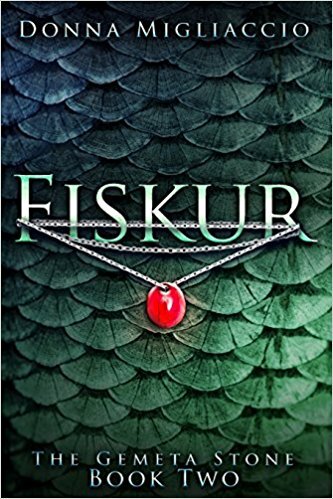 We’re excited to present this guest blog by the author of Fiskur (review below). Since I write fantasy, I rely heavily on my imagination, and the more I’m stimulated by my surroundings – odd though they may be – the more open I am to new ideas. Sometimes my desk and chair at home are too familiar, too comfortable, so I make a point of getting up and moving around every hour or so. (Also because sciatica.) I look out the window, go out on the deck, head into the garden and pull a few weeds. If I’m really stuck, I go for a walk. Sometimes I’ll take a notebook with me, just in case inspiration strikes, but mostly I just walk and breathe and think. “Thanks, Donna, for sharing these insights with my readers — and hopefully, yours, too. This second book in The Gemeta Stone fantasy/action series does not disappoint. The hero continues to evolve into an increasingly complex character. Even better, the woman that started out as mainly a love interest has become a powerful, fascinating character as well. Not to mention, the action continues — and continues to surprise. Too often the second book in a fantasy series doesn’t hold up to the initial outing. Not in this case. The author has given her characters new depths yet kept the brisk pace of action you want in a fantasy where swords are as important as magic. Predictability is not her the menu, either. Like George R R. Martin, Migliaccio is not afraid to kill off a major character when needed. That ruthlessness keeps you guessing and keeps you turning pages. However, the main draws are the two leading characters and their diverse group of close friends and supporters. You can’t help but root for them, empathize with them, and feel their growing frustrations. And, there are plenty of frustrations. Nothing comes without a price for The Gemeta Stone hero. He might pay, but we get to enjoy. Our hero, Kristan, is now in possession of his family’s protective talisman and has vowed to destroy the evil Wichelord, Daazna, who destroyed his family and taken over his country. His friends, particularly the daring Heather, stand solidly by his side as he plans his attack, but is that enough? 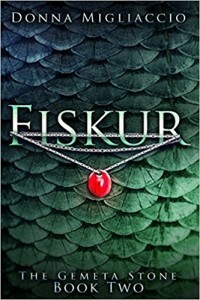 For more about Fiskur and its author, click here. Also, check back next week for a special blog post by the author. 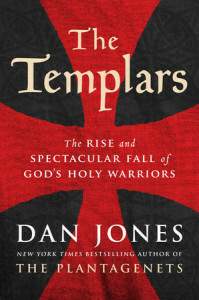 When I started this 360-page nonfiction book (not counting many pages of footnotes), I wondered if I really wanted to know that much about the Knights Templar. Turns out I did. Jones knows how to make history come alive, with a relaxed writing style and interesting stories within the big story. I’ve read a significant number of thrillers where the Templars show up, or at least referred to. Of course, that’s all pretty much hokum. The only true fact I knew was they’re the reason Friday the 13th is considered unlucky. They were actually a very brave, committed, highly religious group that played a major role not only in the crusades but in handling financial affairs and moving money for the rich and royal. They were trusted, respected, and daring. Of course, there were a few Templar leaders who weren’t exactly the cream of the crop, plus political considerations sometimes led to poor decisions. 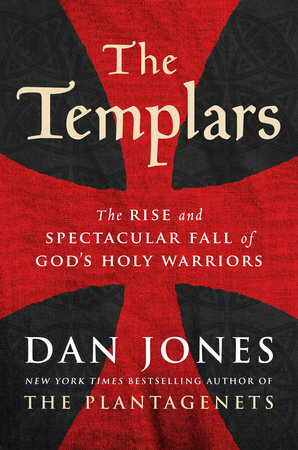 Jones’ book covers everything from their origin in Jerusalem, after the first crusade, to their dramatic demise. There’s plenty of royalty making appearances, too, including the pious Louis IX, Richard the Lionhearted, and the four-times-excommunicated Emperor Fredrick II. It’s quite a gallery of rogues and heroes. It’s all a fascinating read and I’ll be looking for more Jones’ histories to enjoy. Dan Jones does not appear to have a website, but you can learn more from the Wikipedia entry by clicking here.